I looked for hours and couldn’t find any. And all the other site are “Pay this fee…pay to register” its bs. Not nice for a single mom with no $ that wants to show her excited 9 yo how to hunt and then finally find just 1. Why can’t anyone give a hint? Does humanity even exist anymore? Found 1 yellow morel. It had mold and bugs. Lots of oysters showing up around creek bottoms. My black morel spots (~5000′ elevation) are still too cold, but should be producing soon. Hi Julie, and welcome to Montana Mushrooms! Morels are funny mushrooms to hunt. They grow in many places and can seem to be hit and miss. Part of the problem with finding them is they are loved and eaten by many animals including humans. 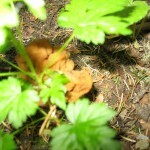 They are easy to identify and it is the only wild mushroom most people eat…the competition is fierce! They have to have moisture, and the ground temp has to be right. They seem to like dappled light and sandy soil.The only place you can be sure they might grow if the conditions are right, is the burns. Hi Jeff, and Welcome to Montana Mushrooms! The river bottoms around here are hit hard. I think the morels are out, but there are a lot of pickers! My oyster spots were picked also. I think the burns are going to be good this year if the rain comes at the right times. Do you pick any other mushrooms oyster and morel? Hi Elizabeth, and welcome to Montana Mushrooms! It is very frustrating to find morels, and even trickier with a 9 yo along! It takes many hours and miles to learn and find them. If you can think of someone that has some private river bottom access, that would be your best bet. Most people will allow you to take your child if you ask. I always consider my mushroom hunt a walk in the woods. If I relax and enjoy myself, I seem to find more mushrooms. Finding mushroom is a bonus! Hi Jason and welcome back! Thanks for the update. 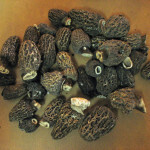 I am waiting on my black morel spots also. Hello Nick, and welcome to Montana Mushrooms! Thank you for your kind words. The morel season around here has been strange this year. They are out, but difficult to predict. I am hopeful that the warm weather this weekend will fire them up again. The oysters have been flushing longer than I remember for their spring flush. Starting to see a lot of different mushrooms in the bottoms, so that is a good sign. Hopefully it is not over yet…time will tell. Seems that the river bottoms are done for yellows (I may be wrong -morels always surprise me where they decide to show up). I found a dozen in the Gallatin valley last Tuesday that were already past their prime. One was about 8″ long. They were growing in an old brush pile of all places -with a lot of wild rose growing through it. I got quite a few scratches getting them -but the meal was well worth it. I’ll keep updating my hunt for black morels (no luck yet) -might be a few days since I’m on baby duty! It’s tough to take a 4 month old out shrooming. 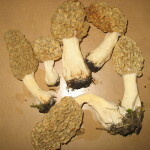 Went hunting in swan area found several Morels!! !first time ever hunting! I fear you might be right! This warm weekend will tell the story. Hi Kevin, and welcome to Montana Mushrooms! Now you will be hooked, like the rest of us! Thanks for the welcome! Was just wondering how to store my beauties for a week or so without freezing? I’m dehydrating the bulk of them. I store fresh mushrooms in a paper or cloth bag in the produce drawer. They usually dry out before they mold if I don’t get to them right away. Hey everyone! Stumbled across many morels 2 weeks ago; I think they’re black morels. Went back last weekend, same area, found more. Not as many but bigger, and we looked in proximity to our bigger payload the week prior. Is it possible that more will pop up after the few rainy days we had? Should I look in the same area but higher elevation? Trying to learn as much as I can. First time out ever– what a blast! Thanks for any information! Hunted an old burn found many different varities of other types of mushrooms but no morrels. Was I too early or too late. TRYING to learn how to find them.Any advice would be appreciated. I love puff balls also! When we kicked them as kids, we were spreading the spores too. I do not know of the sulphur growing native in Montana I will ask someone that will know. No luck on the blacks yet…for me anyway. Hi Fred, and welcome to Montana Mushrooms! Burn Morels seem to flush heavy in the burns for 1-2 years and dribble off 3-4 years after the fire.How old was your burn? No blacks for me also Dean. Jobs sure get in the way of the important things! I have heard about limited success in our “local” burn site yet -very small morels still. I will probably be attempting it mid-week -I have never experienced burn mushrooms. I grew up with cheesy sulphur mushrooms and eggs for breakfast as a kid in central MN. I sure enjoyed them then -but they kind of fell off the radar. I checked out an old burn also (3rd spring). I have never seen so much fungus in my life! Of course nothing edible. I am kind of kicking myself for not harvesting the 100+ lbs. of oysters I found this spring. At least I would be eating mushrooms instead of drooling thinking about them! Anyone think it’s worth looking for morels on the burn sites in south eastern MT in a week or two? There were big fires there in 2012, but I’m thinking it might be too dry. Also, I found some, mostly blacks, in the creek bottoms in central Montana last year. It was my first time looking there and came up with about a pound in mid-May. The conditions seem right for them to grow in the Snowy Mts, but I found not a one. first time hunting morels in montana, dont really know where to go or what to look under for them.CAN YOU GIVE ME SOME ADVISE TO WHERE TO GO? I hunted a burn from 2012…. last summer, (first Year growth) for burn Morels. Found some sporadically through out the burn and large expanses where there were none. My Question is this year could the Morels grow in the areas that there were none found last year in the burn? or should I concentrate on the areas where I located them? 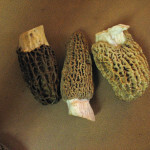 Is it time to start hunting for morels? Hi Fisk, good to hear from ya! I am told that second year burns sometime produce morels in quantities and sometimes they don’t. I would concentrate my hunting in the areas that produced last year and then look at other likely areas. I am glad you found some morels and your mushroom knowledge is growing! You have come a long ways from when you were picking your first oyster mushrooms. Hello Bigsky, and welcome to Montana Mushrooms! 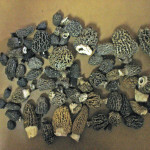 Here in Bozeman, i think it is still a little early for morels. I haven’t even found oysters or any mushrooms yet. On another note, it is always a good time to look if you have the time. Think warm and think rain! We probably won’t find anything until this nighttime freezing stops. There could be a bit more ground moisture as well. Hopefully it isn’t as dry as May last year. 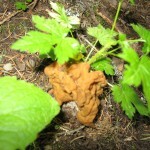 Do you think an early spring burn would produce morels as long as it occured before mycelium growth? 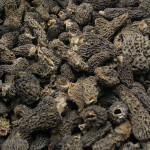 Or, do you think you need to have the winter after to produce burn morels. Am curious about that. Good luck with the hunt! Think warm and think rain! Couldn’t have said it better myself. We might be in for a good one if it ever gets started. I have been finding a few oysters around the Bozeman area. 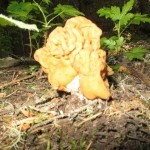 I even found a couple past prime morels in the Three Forks area. I sent you a picture on the Facebook page. I am hoping we get some nice days after all the moisture they are calling for this week. What is the best way to clean and prepare Oysters for cooking and storage. Hello, first of all awesome and informative site you have here. It’s really great to have a resource for information on local fungi and it’s cool too see all the enthusiasm and interest that is shared. I have been interested in foraging wild mushrooms and plants for a few years now and am finally honing in my mushroom vision and have been able to find a few pounds of morels, and many many pounds of oysters around the gallatin valley here in the past week or so, and every time I go out it seems to get better and better. Do you know if Bozeman has a mycology club? It would be fun to talk to other people that share the interest and maybe go on a mushroom walk. Not sure if anything like that is around and if not we should definitely organize something of the sort. Well thanks for the cool site, hope to hear from you mushroomerites soon! We went out a couple days and got skunked. Tried lower ridges and high burns… Are we too late or too early or just looking in the wrong place? Were located in the bitterroot. Anybody having luck? If so, we could use some hints. The morels are popping up along the Skalkaho Creek in Hamilton, Montana May 19, 2014. We picked a couple of hundred between two couples last Friday and my husband and I picked another 60 nice fresh ones this morning. Three were black morels the rest all Blond Morels a couple were soft ball size today. About 3 X 3 inches. Found a few morels around Bozeman the past couple weekends, first ones I’ve found in Montana. I used to find several back when I lived in Pennsylvania, but I knew where and when to look there, plus I don’t think there were as many people hunting for them. Season is similar, but the trees they like are different here (not many maples to look around out here). Hello Dave, and welcome to Montana Mushrooms! I just brush oysters off and tear them in to pieces along the gills. Then either fry or grill with olive oil. To store them I dehydrate the pieces and store them in jars. Hi Scott, and welcome to Montana Mushrooms! 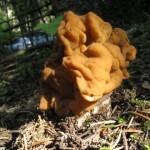 Bozeman has a mycology club called the Southwest Montana Mycology Club. I have had trouble finding information about joining and meetings. I am thinking about starting a chapter here from a very active mushrooms club, WMMA, based in Missoula. 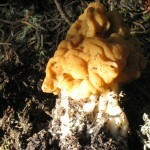 I will post my findings here…we need an active mushroom club in the Gallatin valley! The only morels I am hearing about right now are in the river bottoms. They are having luck in the Bitteroot valley. Went on my first morel search this morning, and found a little over a pound of blonde morels! Tommy M! I’m in the flathead also, found these among an old burn not far from the river. Found two black morels in the Rattlesnake Wilderness outside of Missoula. Relatively old burn >10 years. Just found my first morels today bushwacking along a low elevation creek in the southern gallatin range! Tasty! Is anyone finding any Black Morels? Hello everyone! 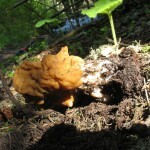 I know it’s really late in the Morel season, but two years ago I got a couple of buckets the last week of June. I’ve been overseas for 5 months and just arrived in Missoula. Anybody still having luck with the little buggers? If so, any general regions to try? Lolo pass was my spot two years ago, but last year I had no luck. Thanks for any help.